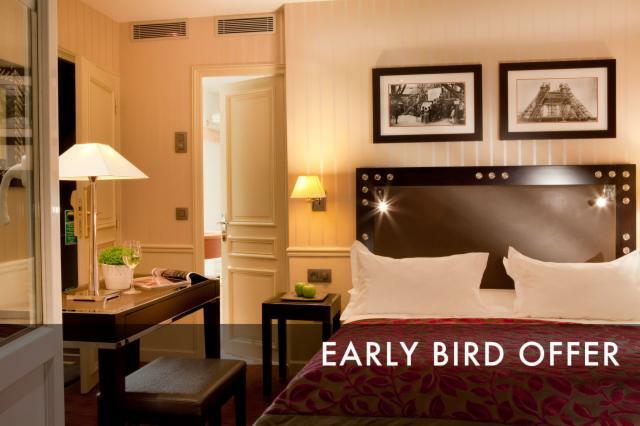 Is Breakfast included at the Duquesne Eiffel Hotel ? Generally, breakfast is not included. However, if you prepaid your stay via a Tour Operator it might be included. Please ask confirmation to our recption upon arrival. How much cost the Breakfast at the Duquesne Eiffel Hotel ? It is at 13 € per person. 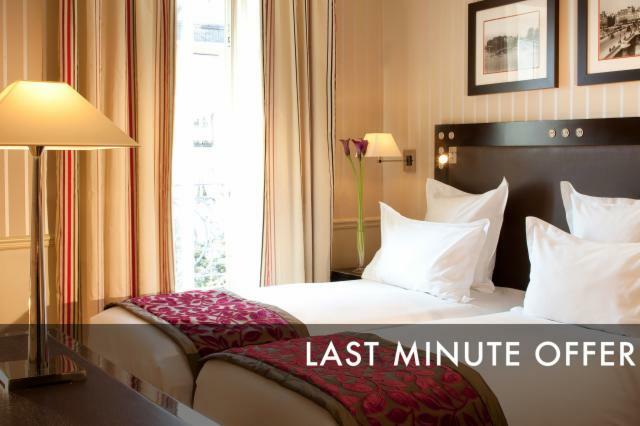 What the check-in time at the Duquesne Eiffel Hotel ? Rooms are available at 2 pm. Some rooms could be ready before that time. In case they would not be ready before 2 pm we are pleased to keep your luggages while your room is prepared. What is the check-out time at the Duquesne Eiffel Hotel ? Check-out is at , 12 (Noon) . However, you may want to leave us your luggages may you leave later during the day. Duquesne eiffel Hotel is a smoking or non smoking property ? Full building is non smoking . Is City Ttax included in prices at the Duquesne Eiffel Hotel ? No it s not, it is indicated in your offer description. What are reception opening hours at Duquesne Eiffel Hotel ? Reception is opened 24h/7 . Is there an alarm cloxk in rooms ? You can ask our front desk to set an alarm clock for you. 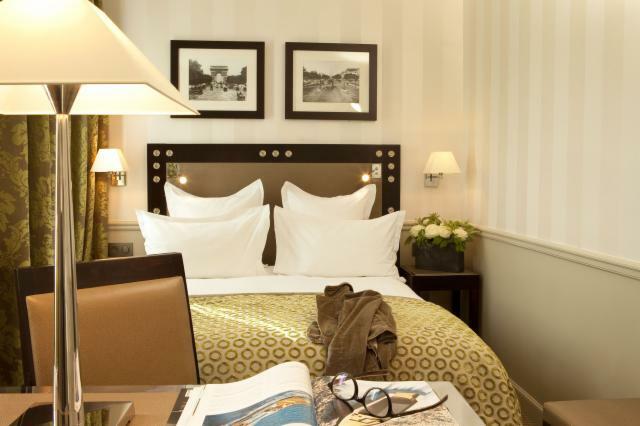 What is the price of a taxi transfert to the airport from the Duquesne Eiffel Hotel? You may want to prepare in between 50 and 65 €. Can we consume ( in our rooms , terrasse) drinks or food bought from outside the hotel Duquesne Eiffel Hotel ? French law is not allowing consumption of products brought outside a poperty if the Hotel is selling those products inside. What are the payments facilities Duquesne Eiffel Hotel ? Credit cards (Amex, Visa, Master, Diners). While booking, is my credit card be debited ? We ask for your credit card to secure your booking. We do not charged it unless you booked specific offers (Advance purchase offers, special offers etc) . However, we ask for a bank authorization which save the amount of 1 night during few days. Are children paying same price as adults ? Rates apply per room, there isn't a pric per child therefore. How long does it take to check availability ? Availability is instantly linked to our system. Is there any cancellation fee in case of cancellation ? You can cancel your booking up to 3 days before arrival. Though, once this period is over, one night would be charged. However, isome sales conditions are different upon the offer selected and your date of arrival and in this case, cancellation fees apply according to the offer chosen.